As a resource, American Hardwoods are abundant, renewing and sustainable, and an excellent choice for eco-effective design and building. 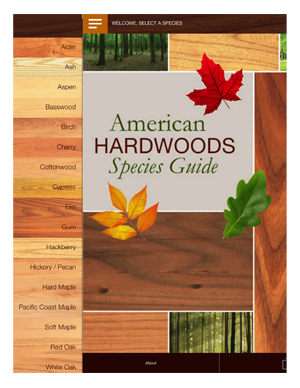 This Guide features 20 of the most abundant and most often used Hardwood species. In addition to the basics – where they grow, general description, and abundance – each Hardwood profile includes working and physical properties, availability, strength and mechanical properties, and main uses. Additionally, each species is shown in clear, light, medium and dark finishes to help visualize stain combinations of flooring, cabinetry, moulding and furniture co-existing in a single design space. Click below to view a particular species profile or download the guide.